Human Trafficking is happening here in our own backyards. 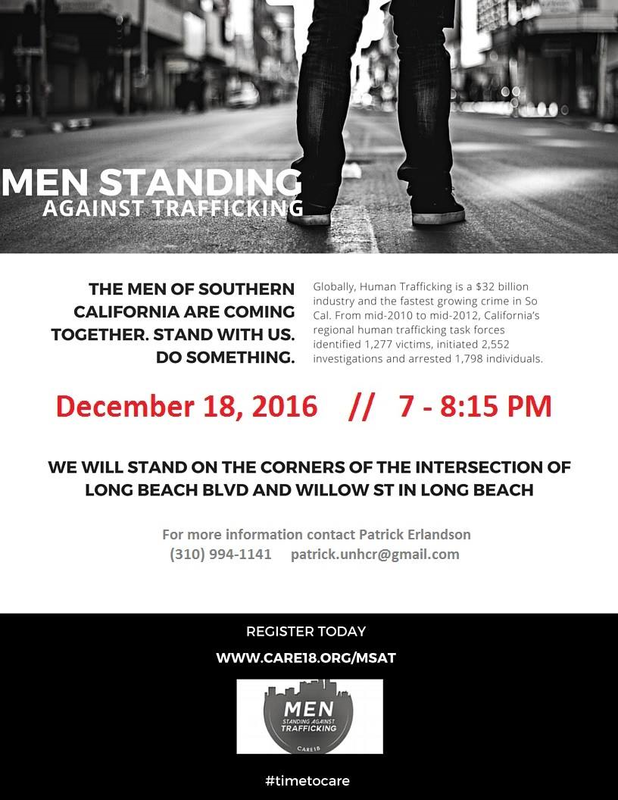 As the men of Southern California, we’re not willing to let it continue. Stand up for the voiceless. Stand against the abusers. Stand together as protectors of the innocent. Stand. It’s that simple. We meet quarterly at trafficking hotspots across our region. For more information on times and locations, click here! This entry was posted in Activities, Awareness Walk/run, Raise Awareness by Patrick Erlandson. Bookmark the permalink.